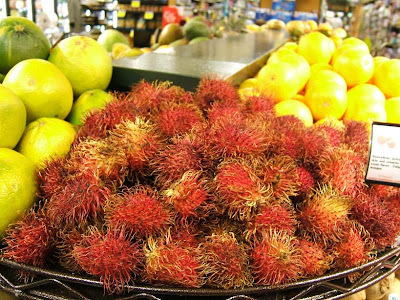 Rambutans! They look like something out of sci-fi or Sea Urchins. I am tempted to try them, but I'm still reeling from the Dragon fruit incident. And look at the description!!! Steamy! They sound yummy, just look a little strange. 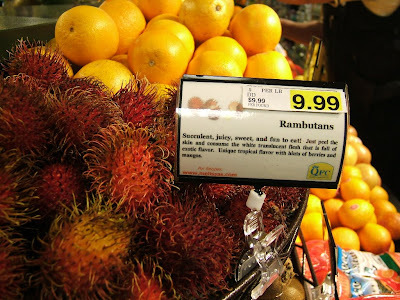 I work in produce at Wal*Mart, and we've never gotten rambutans. Let me know if you try them. Look like strawberries on Rogaine! January 19th, 2008 - Happy 30th Birthday Shauna! January 15th, 2008 - Snow Day! January 13th, 2008 - The new hutch is here!